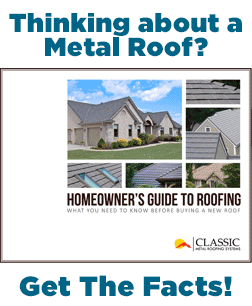 Indiana Metal Roofing Solutions brings the beauty, durability and sustainability of fine metal roofing to your home. Professional recommendations, estimates and installation ensure that you’ll have the right metal roof. Our beautiful metal roofing solutions will add value to your home as they protect you and your family for a lifetime. Best of all, our commitment to complete, quality service from estimate to installation and the support of a great warranty give you peace of mind. Metal Roofing Solutions is your metal roofing expert for the communities of Indianapolis, Seymour, Columbus, Shelbyville, Greensburg, Madison, Anderson, Richmond, Muncie, Kokomo, Lafayette, Terre Haute, Greenscastle and beyond.